and lots of other things! The Mirror is a small sailing dinghy (10 foot 10 inches) which is perfect for parents and kids to sail together, or kids to learn to sail. First designed in 1962, the Mirror has had a complete makeover and is now a dynamic fibreglass boat with a distinctive red main and jib, and spinnaker. It is raced competitively at club, state, national and world levels. In NSW Mirror fleets sail from Balmoral Sailing Club, Hunters Hill Sailing Club and Woollahra Sailing Club. All are open to new members with club boats are available for newcomers to use. International Mirror Class Association of NSW Inc. 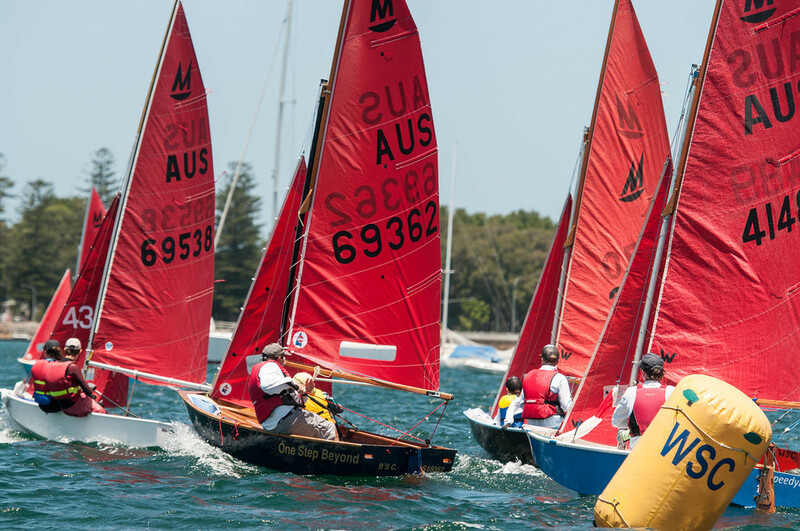 The International Mirror Class Association of NSW Incorporated (IMCANSW) administers the class in NSW and organises state-wide racing. Congratulations to Cullen and James Hughes in Wave Catcher, 2018-2019 NSW State Champions! 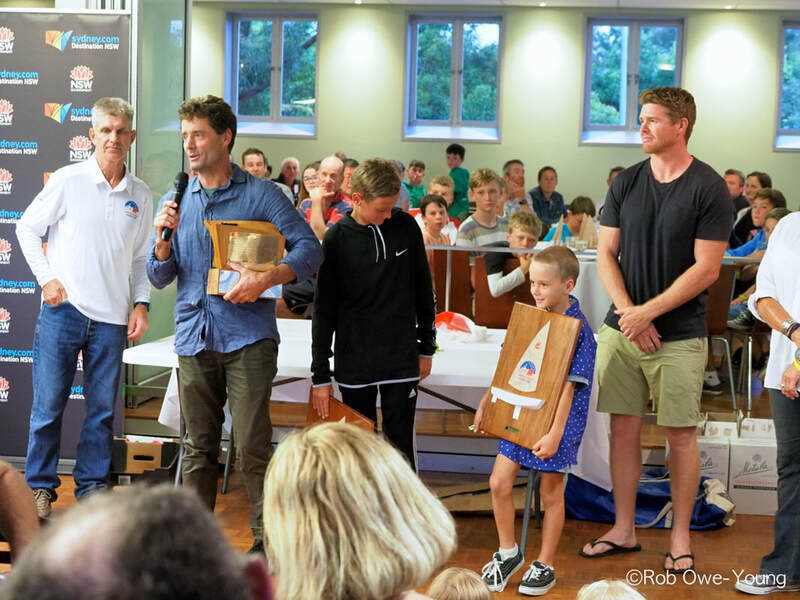 Prizes were awarded at Balmoral Sailing Club last weekend, and the Mirror community celebrated with a pizza dinner. Congratulations to John and Tyler Dransfield, 2019 World Champions! For daily photo updates, see Robert Owe-Young's smug mug page. For all the latest news and updates, see our Facebook page. For those without Facebook, daily race reports are available here. Congratulations to Campbell and Stirling McKay, 2019 Australian National Champions! To see the full prize list, click here. For race results, click here. ​For presentation photos, click here. For daily photo updates, see Robert Owe-Young's smugmug page. For those without Facebook, daily updates are available here. Apologies for the delay, we had some problems sorting out the final placings and sail numbers for the second day. Congratulations Campbell and Stirling McKay (1st), Mark and Caitlyn Nash (2nd) and Douglas Raftesath and Spencer McKay (3rd)! The 1st round of the 2018-2019 States is on November 17-18 at WSC. Sign up now for Sail Sydney! 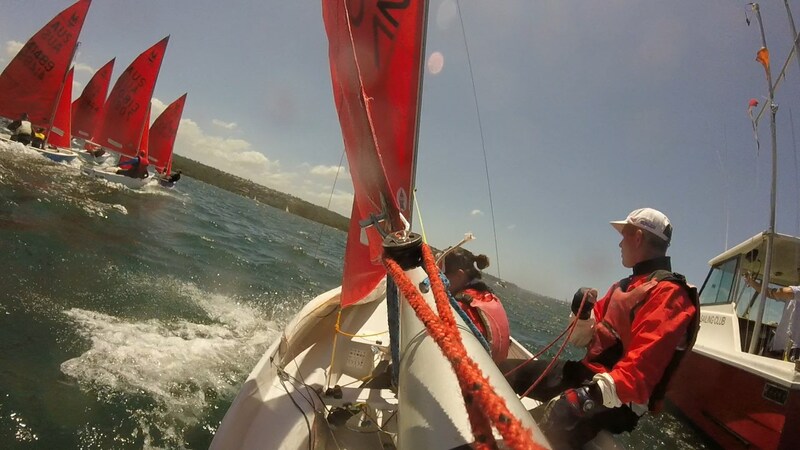 The Mirrors are an Invited Class for Sail Sydney (Dec 8-9 at Woollahra Sailing Club). This is a great chance to check out the venue for the 2019 Worlds in a large regatta! For more details visit the Sail Sydney website. 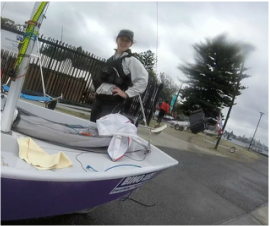 Thanks to Brett Beyer for three days of coaching at Woollahra Sailing Club! The 2018-2019 Season has begun! 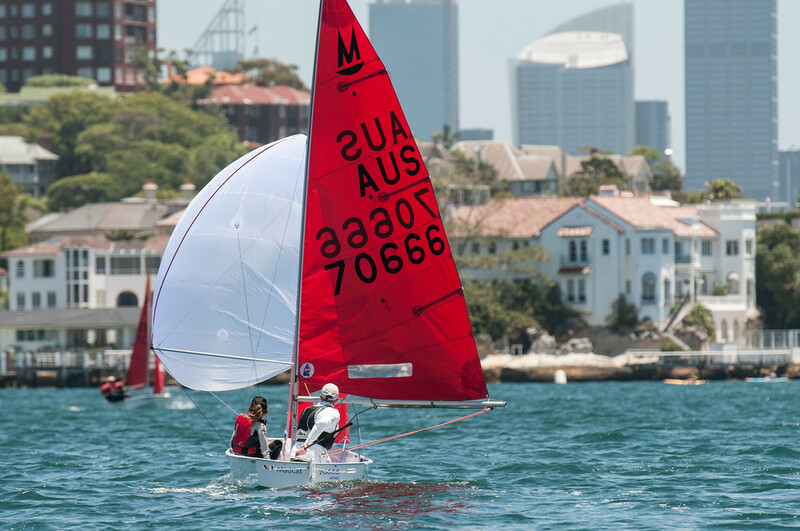 The NSW Mirror sailing season will open with the 1st round of the Traveller's Trophy on Sunday the 16th of September at Woollahra Sailing Club. Briefing at 12:30, first signal not before 13:30. NOR and SI are as per the WSC Spring Series (available here, along with entry form). There is a $10 entry fee for visiting boats. The Traveller's Trophy is on at Hunters Hill SC on Sunday 18th March 2018. Sailing Instructions now available here. Sailing the Clarence River for a great cause! Jules Lawson is navigating the Clarence River by kayak and Mirror to raise money for Headspace, who provide free mental health support services and conselling to young people. To follow her journey or add your support, check out her Facebook event page here. Congratulations to Cullen and James Hughes, 2017-2018 State Champions! Full results here. Check out Gavin's Race Report for the full story! Change in Sailing Instructions for the States! The SIs for Round 2 have changed! Make sure you download the new copy here! Note that the times are different from those shown in the NOR. See you February 24-25 at Woollahra Sailing Club! NSW State Championships Round 1 Results available here. We had our first handicap start for the season with yet another moderate, but easing southerly. A small, but keen fleet braved the slightly cooler conditions with Andrew Dent in the Fastglass heading off first. However, yet another technical issue brought his race to a halt on the first lap. Next off were Derek and Dan Hadwen in the Tigers Tail, followed by Amy Lee and Rowan Hughes in the Jazze and 2 minutes later the Firefly and Wave Catcher heading off together as the last to start. The end of the first lap saw the fleet compress with Gavin and Oliver in the Firefly ahead of Cullen and James in the Wave Catcher. The shifty southerly allowed plenty of passing opportunities and, by the next top mark, Wave Catcher had caught Firefly with Jazze only 20 seconds or so ahead. However, Amy and Rowan sailed away on the square run as the breeze died and opened up a large gap on the chasing boats and set on to catching the Tigers Tail. By the third lap, Jazze had hit the front and stayed there for a convincing win. Wave Catcher and Firefly finally caught Derek and Dad in the Tigers Tail on the last lap to finish 2nd and 3rd. This had been scheduled to be a club championship for the Mirror Class but with much of the fleet away with other sailing commitments, in particular junior crews away at the MJ State Championships, it has been decided to reschedule to a fairer date. I’ll update you as I know more. The Mirror Class is next scheduled for Duty Class on November 18. 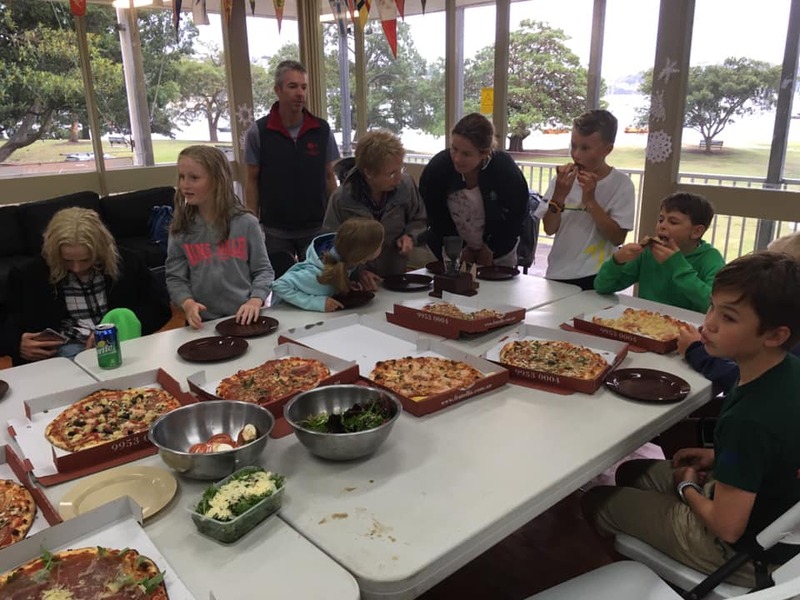 It is pizza night at the club on November 25 - which is also the Mirror State Championships at Balmoral. The NOR is here for the NSW State Championships at Balmoral Sailing Club and Woollahra Sailing Club. Looking forward to seeing you all at Balmoral Sailing Club on November 25th and 26th! A new update is available for Peter Russell's fantastic book, Mirror Sailing in Australia​! The new content covers the 2013 to 2017 Worlds and is available for download here. This is the definitive reference for Australian Mirror sailing, and we thank Peter for this update to his invaluable book! Revised Dates for 2019 Worlds and Pre-Worlds! 26-Dec Wednesday - Boxing Day (and Sydney to Hobart race start) – Early Measuring. 27-Dec Thursday - Pre-Worlds Day 1 - Measuring. Practice Race in afternoon. 28-Dec Friday - Pre-Worlds Day 2 - Racing 3 to 4 races. 29-Dec Saturday - Pre-Worlds Day 3 - Racing 3 to 4 races. 30-Dec Sunday - Pre-Worlds Day 4 - Racing 3 to 4 races. 31-Dec Monday - New Year's Eve - Measuring. 2-Jan Wednesday - Worlds Day 2 - Racing begins. There will be a maximum of 12 races with up to 3 each day. 3-Jan Thursday - Worlds Day 3 - Racing. 4-Jan Friday - Worlds Day 4 - Racing. 5-Jan Saturday - Worlds Day 5 - Racing. 6-Jan Sunday - Worlds Day 6 - Racing. Prize giving and closing ceremony. Congratulations to Cullen and Rowan Hughes - 2017 Mirror World Champions! The NSW team at the 51st Mirror National Championships at Henley Sailing Club. Mark Nash and Cullen Hughes having a laugh after the race! Notice of race same as first weekend above. * The NSW State Championships will be held over two weekends. Results for the 2016/17 Bing Lee NSW State Championships (provisional) after Leg1 at WSC. Firstly a shout out to our sponsor, Bing Lee, which has been a wonderful supporter of Mirror sailing in NSW for many years. Congratulations to Cullen and Rowan Hughes, NSW State Champions. Full results for download here. The Championships were held over two weekends. 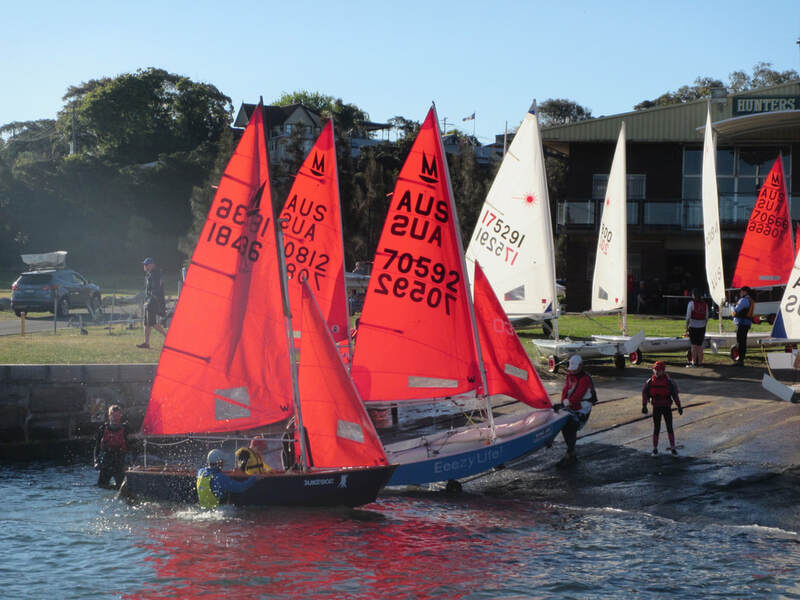 The first weekend was held on 22 - 23 November 2014 at Balmoral Sailing Club. 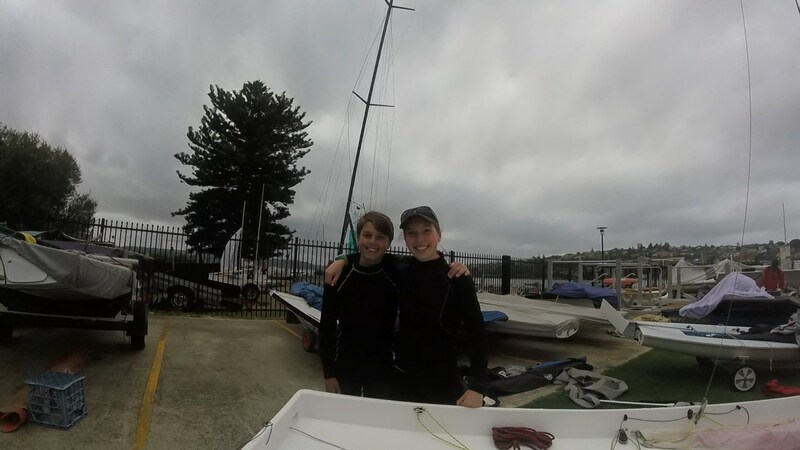 We were lucky to get good weather and wind for two races on day one and three on day two. It was a fleet of 19 boats, and lead to some close and competitive sailing at many levels of the fleet. Thanks to everyone at Balmoral Sailing Club, especially race officer, Heather, and all the volunteers for a very well run event. 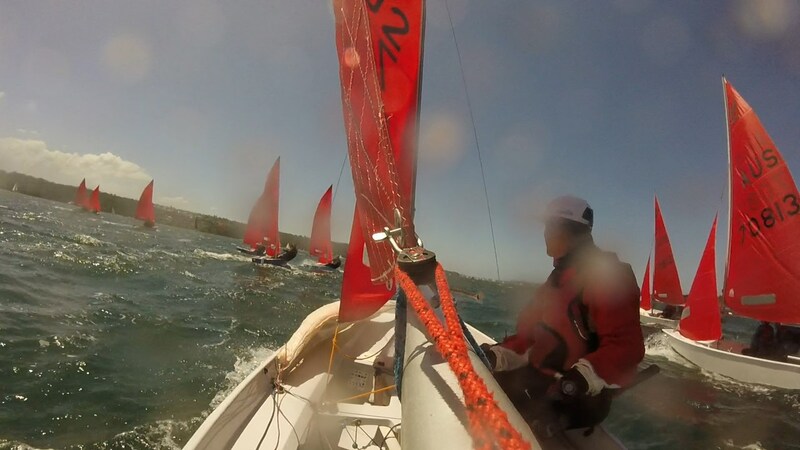 The second weekend was held at Woollahra Sailing Club on 7-8 February 2015. After postponements on both days due to lack of morning wind, the afternoon sea breeze kicked in for some great sailing in the harbour, with the course tracking from near Shark Island to Bottle and Glass Point. There were some close calls with the large fleet of Etchells, also sailing their state championships. A highlight was turning the bottom mark to see a wall of spinnakers bearing down on us. Thanks to WSC and especially Race Officer, Adam South, for putting on a well organised event. Everyone is excited about WSC hosting the Mirror Worlds in 2018/19. 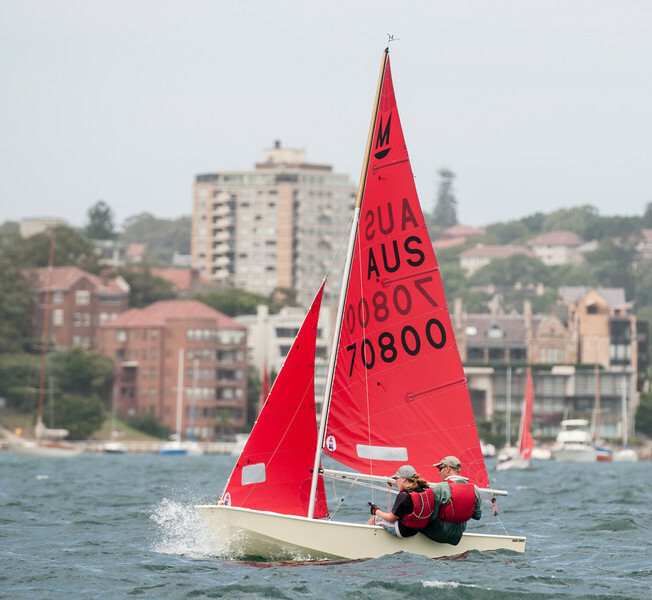 The Australian Mirror National titles were held at﻿ Woollahra Sailing Club﻿, Rose Bay in Sydney, on 28th December 2013 - 3rd January 2014. It was a fantastic event, with 37 boats participating in excellent conditions on Sydney Harbour. The Australian National Champions are Anita Scott-Murphy and Ben Cruise sailing in Bob. Second place was Douglas and Charlotte Raftesaft in Waterborne at Last and third was Mark and Maddie Nash in Mad Cat. Check out the results, photos and reports here. 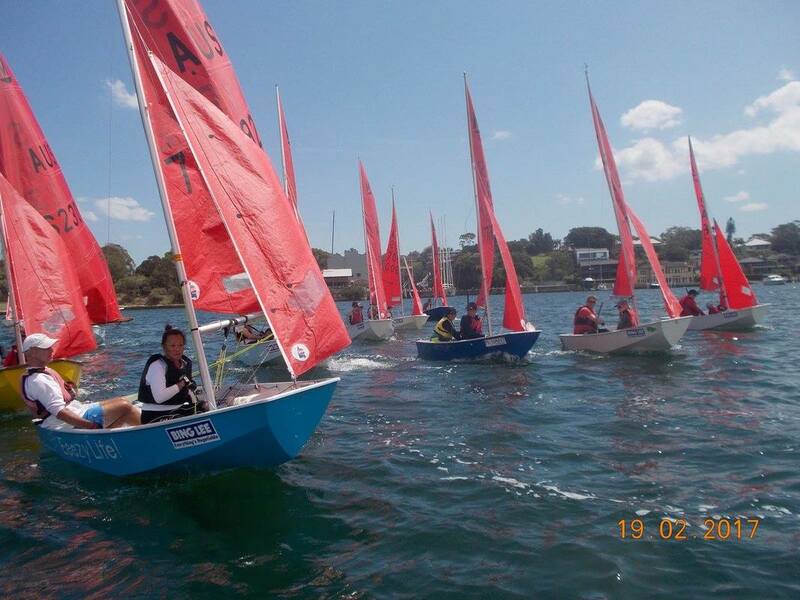 A wonderful weekend of sailing at the NSW Mirror States. A big thanks to our sponsors Bing Lee, to Hunters Hill Sailing Club and the Race Committee. 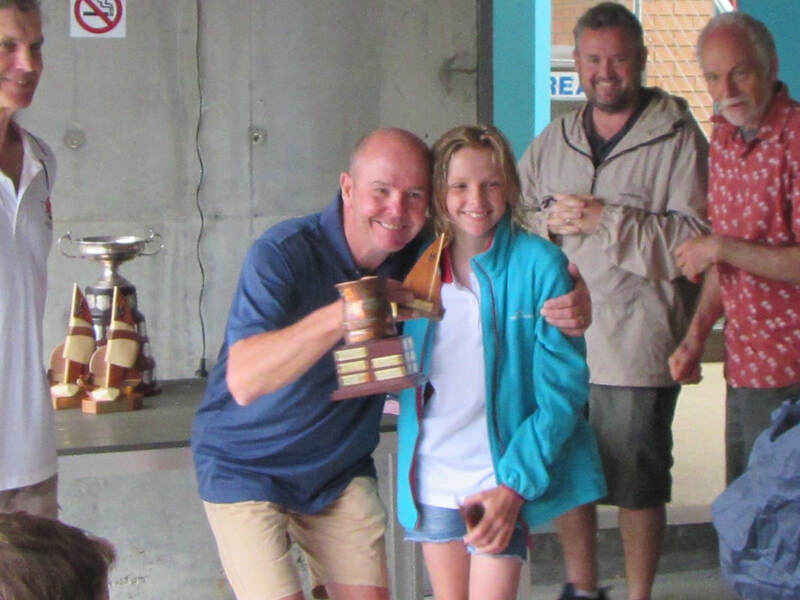 Congratulations to Mark Nash and Maddie in Mad Cat, NSW State Champions 2013! Check out some photos of the event here.